A leap year (also known as an intercalary year or bissextile year) is a calendar year containing one additional day (or, in the case of lunisolar calendars, a month) added to keep the calendar year synchronized with the astronomical or seasonal year. Because seasons and astronomical events do not repeat in a whole number of days, calendars that have the same number of days in each year drift over time with respect to the event that the year is supposed to track. By inserting (also called intercalating ) an additional day or month into the year, the drift can be corrected. A year that is not a leap year is called a common year. Generally speaking, a calendar year begins on the New Year's Day of the given calendar system and ends on the day before the following New Year's Day, and thus consists of a whole number of days. A year can also be measured by starting on any other named day of the calendar, and ending on the day before this named day in the following year. This may be termed a "year's time", but not a "calendar year". To reconcile the calendar year with the astronomical cycle certain years contain extra days. The seasonal year is the time between successive recurrences of a seasonal event such as the flooding of a river, the migration of a species of bird, or the flowering of a species of plant. 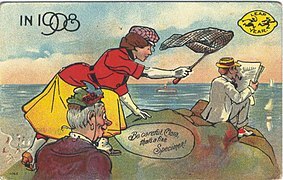 The name "leap year" probably comes from the fact that while a fixed date in the Gregorian calendar normally advances one day of the week from one year to the next, the day of the week in the 12 months following the leap day (from March 1 through February 28 of the following year) will advance two days due to the extra day (thus "leaping over" one of the days in the week). For example, Christmas Day (December 25) fell on a Sunday in 2016, Monday in 2017, and Tuesday in 2018, then will fall on Wednesday in 2019 but then "leaps" over Thursday to fall on a Friday in 2020. The Gregorian calendar was designed to keep the vernal equinox on or close to March 21, so that the date of Easter (celebrated on the Sunday after the ecclesiastical full moon that falls on or after March 21) remains close to the vernal equinox. The "Accuracy" section of the "Gregorian calendar" article discusses how well the Gregorian calendar achieves this design goal, and how well it approximates the tropical year. The Chinese calendar is lunisolar, so a leap year has an extra month, often called an embolismic month after the Greek word for it. In the Chinese calendar the leap month is added according to a rule which ensures that month 11 is always the month that contains the northern winter solstice. The intercalary month takes the same number as the preceding month; for example, if it follows the second month (二月) then it is simply called "leap second month" i.e. simplified Chinese :闰二月; traditional Chinese :閏二月; pinyin :rùn'èryuè. The Hebrew calendar is lunisolar with an embolismic month. 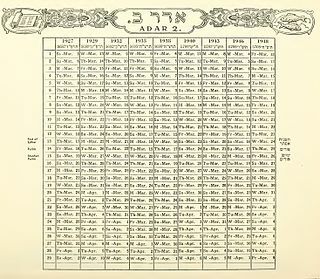 This extra month is called Adar Alef (first Adar) and is added before Adar , which then becomes Adar Bet (second Adar). According to the Metonic cycle, this is done seven times every nineteen years (specifically, in years 3, 6, 8, 11, 14, 17, and 19). This is to ensure that Passover (Pesah) is always in the spring as required by the Torah (Pentateuch) in many verses  relating to Passover. 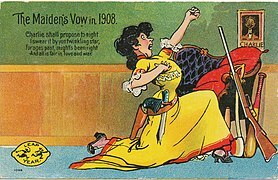 In Ireland and Britain, it is a tradition that women may propose marriage only in leap years. While it has been claimed that the tradition was initiated by Saint Patrick or Brigid of Kildare in 5th century Ireland, this is dubious, as the tradition has not been attested before the 19th century. Supposedly, a 1288 law by Queen Margaret of Scotland (then age five and living in Norway), required that fines be levied if a marriage proposal was refused by the man; compensation was deemed to be a pair of leather gloves, a single rose, £1 and a kiss. 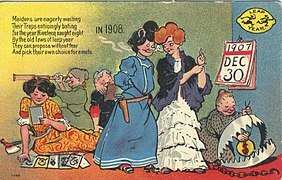 In some places the tradition was tightened to restricting female proposals to the modern leap day, February 29, or to the medieval (bissextile) leap day, February 24. A person born on February 29 may be called a "leapling" or a "leaper". In common years, they usually celebrate their birthdays on February 28. In some situations, March 1 is used as the birthday in a non-leap year, since it is the day following February 28. Technically, a leapling will have fewer birthday anniversaries than their age in years. 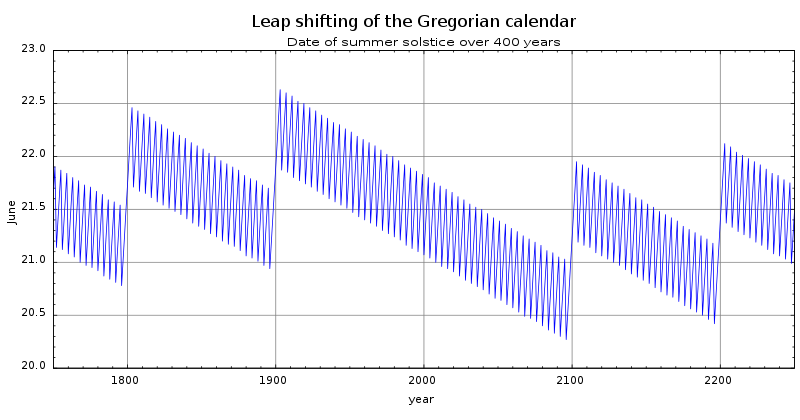 This phenomenon is exploited when a person claims to be only a quarter of their actual age, by counting their leap-year birthday anniversaries only: for example, in Gilbert and Sullivan's 1879 comic opera The Pirates of Penzance , Frederic the pirate apprentice discovers that he is bound to serve the pirates until his 21st birthday (that is, when he turns 88 years old, since 1900 was not a leap year) rather than until his 21st year. A solar calendar is a calendar whose dates indicate the season or almost equivalently the apparent position of the Sun relative to the stars. The Gregorian calendar, widely accepted as standard in the world, is an example of a solar calendar. The main other type of calendar is a lunar calendar, whose months correspond to cycles of Moon phases. The months of the Gregorian calendar do not correspond to cycles of Moon phase. The Bahá'í Calendar, also called the Badíʿ Calendar, is a solar calendar with years composed of 19 months of 19 days each (361 days) plus an extra period of "Intercalary Days". Years begin at Naw-Rúz, on the day of the vernal equinox in Tehran, Iran, coinciding with March 20 or 21. A leap week calendar is a calendar system with a whole number of weeks every year, and with every year starting on the same weekday. 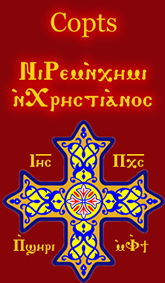 Most leap week calendars are proposed reforms to the civil calendar, in order to achieve a perennial calendar. Some, however, such as the ISO week date calendar, are simply conveniences for specific purposes. Birkat Hachama refers to a rare Jewish blessing that is recited to the Creator, thanking Him for creating the sun. The blessing is recited when the sun completes its cycle every 28 years on a Tuesday at sundown. Jewish tradition says that when the Sun completes this cycle, it has returned to its position when the world was created. Because the blessing needs to be said when the sun is visible, the blessing is postponed to the following day, on Wednesday morning. 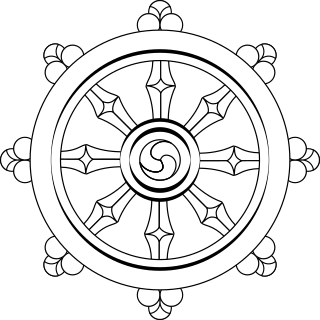 The Buddhist calendar is a set of lunisolar calendars primarily used in mainland Southeast Asian countries of Cambodia, Laos, Myanmar and Thailand as well as in Sri Lanka and Chinese populations of Malaysia and Singapore for religious or official occasions. 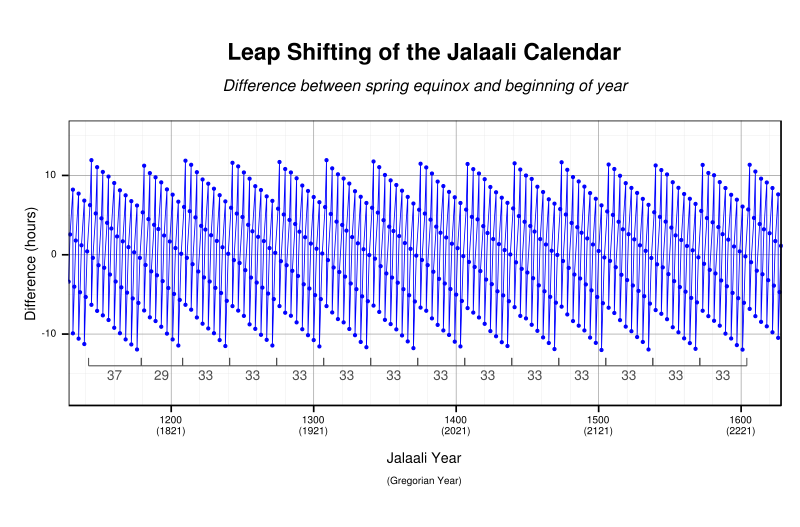 While the calendars share a common lineage, they also have minor but important variations such as intercalation schedules, month names and numbering, use of cycles, etc. In Thailand, the name Buddhist Era is a year numbering system shared by the traditional Thai lunisolar calendar and by the Thai solar calendar. Bissext, or bissextus is the day which is added to the Gregorian calendar every fourth year to compensate for the six-hour difference in length between the common 365-day year and the actual length of the solar year. Nisan-years is an ancient calendar system used around Mesopotamia. Its area of usage covers Elam, Persia, Media, Syria and Israel/Judea. Its beginning was from prehistorical era. Ever since Mesopotamia had historical writings, even before the Old Babylonian Empire of Hammurabi, its calendar used the Nisan-years. ↑ "leap year – Definition of leap year in US English by Oxford Dictionaries". Oxford Dictionaries – English. Retrieved June 3, 2018. ↑ Lerner, Ed. K. Lee; Lerner, Brenda W. (2004). "Calendar". The Gale Encyclopedia of Science. Detroit, MI: Gale. 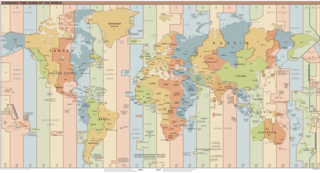 ↑ Introduction to Calendars. (10 August 2017). United States Naval Observatory. ↑ Lerner & Lerner 2004, p. 681. ↑ Virtually no laws of Margaret survive. Indeed, none concerning her subjects are recorded in the twelve volume Acts of the Parliaments of Scotland (1814–75) covering the period 1124–1707 (two laws concerning young Margaret herself are recorded on pages 424 & 441–2 of volume I). ↑ Age of Majority (Related Provisions) Ordinance (Ch. 410 Sec. 5), Hong Kong Department of Justice, June 30, 1997 (Enacted in 1990).